Another month, another best-ever month for used-car value retention. 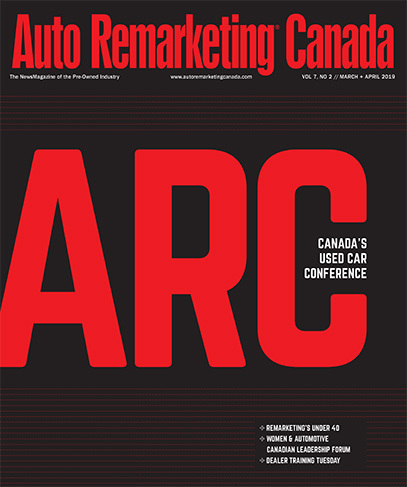 Canadian Black Book said in an analysis this week that its Used Vehicle Retention Index reached 103.6 last month, which is the highest level recorded in the 13 years of the index. The last time the index hit a record? July. CBB attributed the high used-car retention to economic strength and Canadian-U.S. exchange rates that make exporting used cars to the U.S. ideal. “Certainly, all industry eyes are on the NAFTA renegotiations, at the time of writing this commentary,” the company said in its analysis. Separately, the ADESA Canada Used Vehicle Price Index, powered by ALG Canada, was up in August, following seasonal adjustments. Its report pointed to a 0.46-percent month-over-month increase in wholesale prices for August. Mid-compact prices were down 4.2 percent month-over-month, and midsize SUVs were off 3.2 percent. However, the other four segments in the report showed gains from July: The midsize segment was up 1.4 percent, minivan prices climbed 4.9 percent, compact SUVs were up 3.3 percent and full-size pickups were up 3.8 percent.